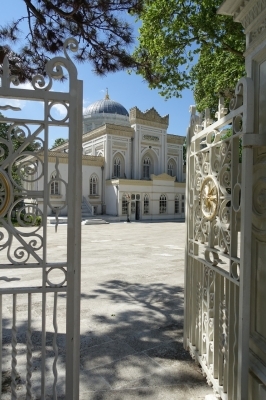 Yıldız Palace Complex is part of the Tentative list of Turkey in order to qualify for inclusion in the World Heritage List. I should have done my research before heading all the way north to find it closed as mentioned previously, and only the outside of the mosque was available for a photo (don't find it special and is it even part of the nomination?). I approached the barriers and the police told me it is closed for renovations. Then I figured I can take a photo from the outside but no… Not allowed. Will surely return to Istanbul one day to see. On my last day in Istanbul I made my way to the Yildiz Palace in Besiktas. It is currently (2018) undergoing renovations and not accessible to the public. The only exception is the mosque next to the entry. I was all alone when I entered the mosque and it was quite impressive. The striking feature here is how 19th century Europe is creeping into the old Ottoman style. 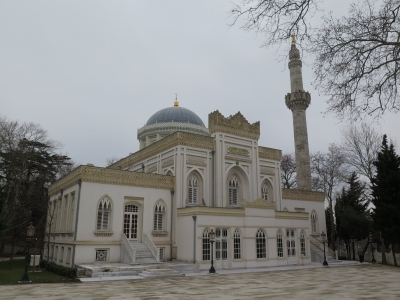 It still follows the architectural template set by Sinan centuries earlier, but makes use of 19th century building technology and European fashion. I am hard pressed to fully judge the OUV seeing I was only able to visit the mosque. Personally, I would prefer a serial nomination of the Ottoman palaces of Istanbul, specifically Dolmabahce Palace. The palace is only connected by bus. Neither tram nor subway will take you there directly. I ended up walking 30min or so from the end of tram line at Kabatas passing the Dolmabahce Palace along the way.